Eligibility Criteria Have a doubt? In case the candidate is unable to complete the application form in one go, he / she can save the data already entered by choosing "SAVE AND NEXT" tab. Visually Impaired candidates should fill the application form carefully and verify the same before the final submission. Candidates are advised to fill the form carefully and verify the details before the final submission. No changes will be entertained after clicking the FINAL SUBMIT BUTTON. Candidate's Name / Father's Name / Mother's Name etc. should be spelt correctly in the application as it appears in the Certificates/ Mark sheets/Identity proof. Any change/alteration found may disqualify the candidature. 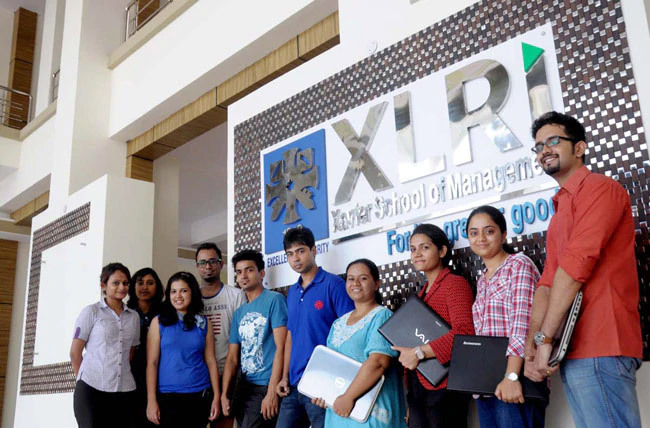 Candidate interested for XLRI Programme(s) can apply through XAT or GMAT. Select XAT TEST City. Test City preference can be edited only once before November 30, 2018.